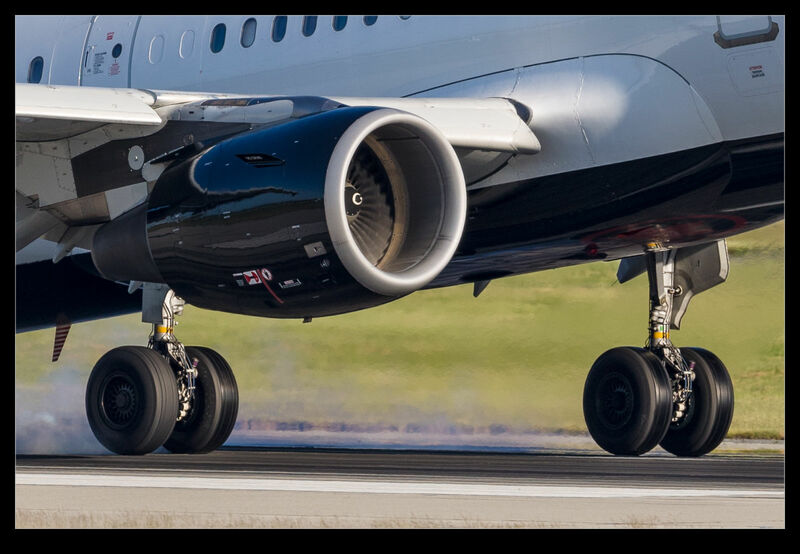 I was photographing some evening arrivals at Vancouver and, as I went through the shots afterwards, I got to see some detail on the tires that I had not noticed before. The tires’ surface has a matt finish as you would expect of rubber. When they hit the runway they go from zero rotation to very fast rotation extremely quickly. 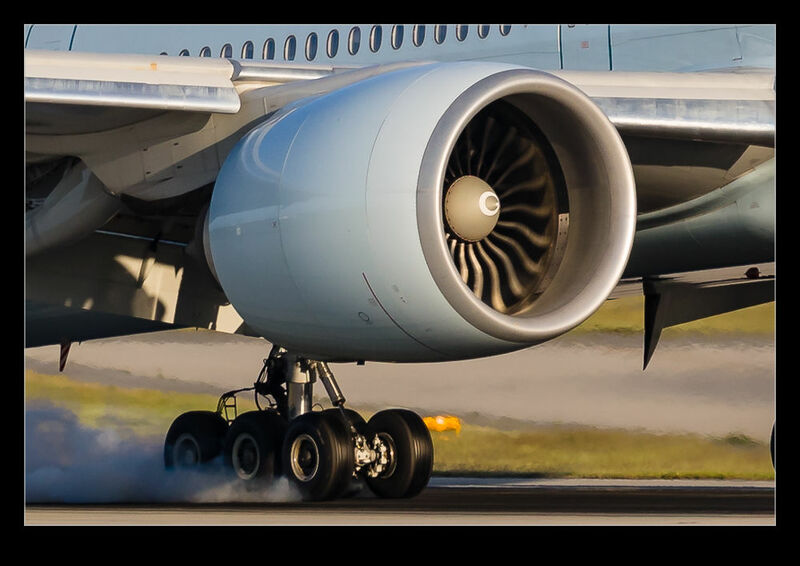 The friction that causes this rapid run up scrubs a bit from the surface of the tire making the familiar smoke. What I didn’t know is that the heat changes the appearance of the surface of the tires. They suddenly become very shiny. 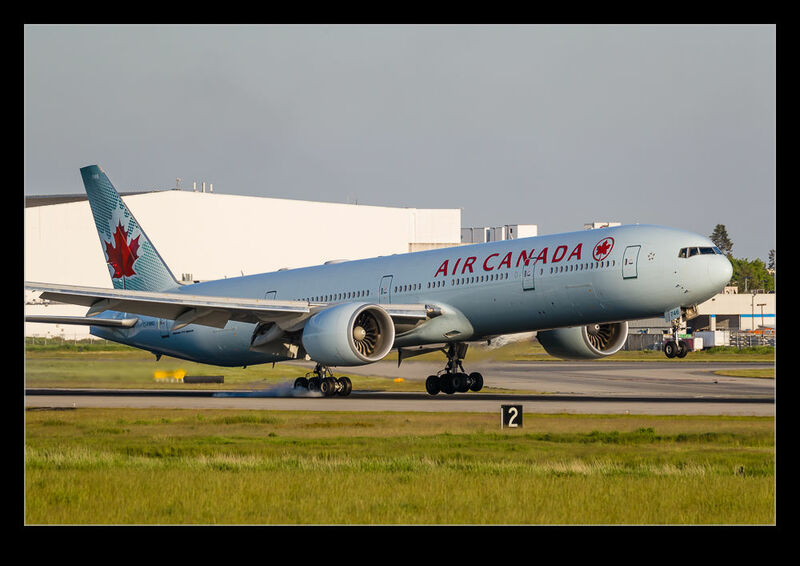 In these shots you can see wheels of a 777 just before and just after contact. Also there is a shot from an A321 where you can see some of the tires have touched down and others haven’t. Only with the low sum angle was this obvious. 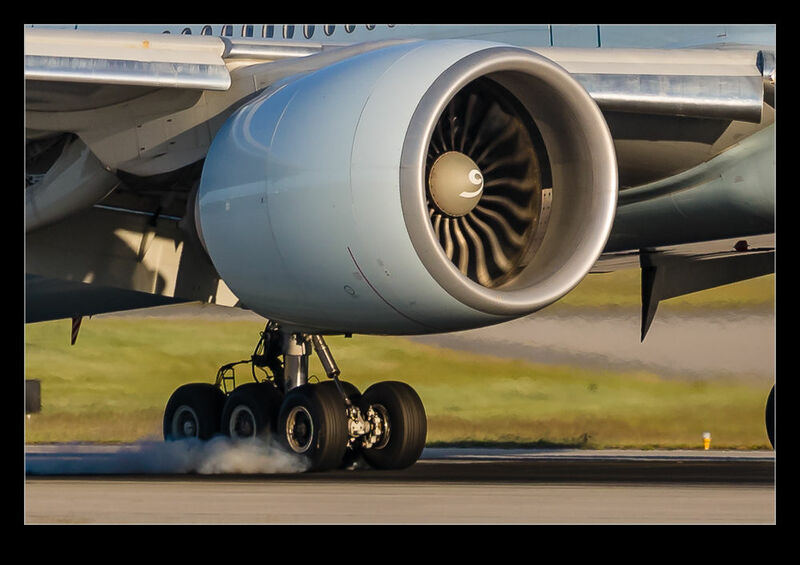 This entry was posted in aircraft, civil, Pacific Northwest, photo and tagged aircraft, airliner, airplane, British Columbia, Canada, color, cover, finish, heat, jet, photo, rubber, tire, touchdown, Vancouver. Bookmark the permalink.